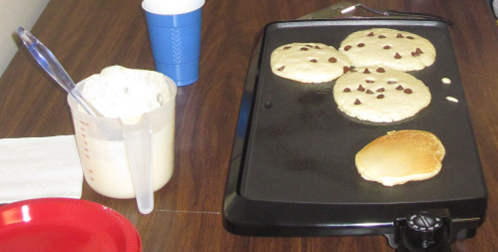 Our January Family Night was titled “Pancakes and Pajamas.” Everyone was invited to wear their winter P.J.’s to the library for some pancake making, bedtime stories, and a lullaby sing-a-long. It was tons of fun – and the library smelled like yummy pancakes for the next few days. Since we have a very small program budget, we had a suggested donation of $1 per person, which covered about 3/4 of the cost for 15 people. I had a separate table set up with the butter, syrup, bananas, and drinks. After everyone had a chance to eat, I read a few bedtime stories and we sang some songs. There were a few tears when we didn’t have enough time to read the last book because the library was closing, but I think that was a good indicator that it was bedtime! Even staff wore their PJ’s! One of my favorite programs each month is our Pajama Party for our Family Storytime on the last Thursday night of the month. We had our January one last night. Do you do yours monthly, too? You have a Pajama Party every month? Sounds fantastic! What do you typically do on those nights? I’d love to hear more about it. We actually do a Family Storytime every week on Thursday nights. The first Thursday is Family Game night following storytime. The middle weeks are Craft Nights following storytime. 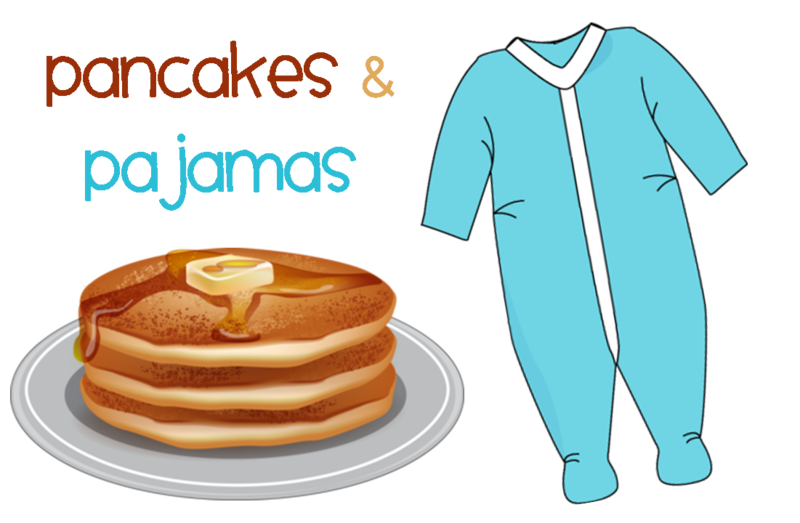 The last Thursday is Pajama Party Night also following storytime. Once everyone returns from the search, we pass out a snack and show the video.